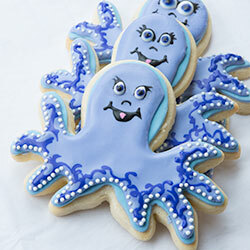 I am hoping these cookies will coax Spring to bloom snowy Colorado! using a jar cookie cutter from Truly Mad Plastics. 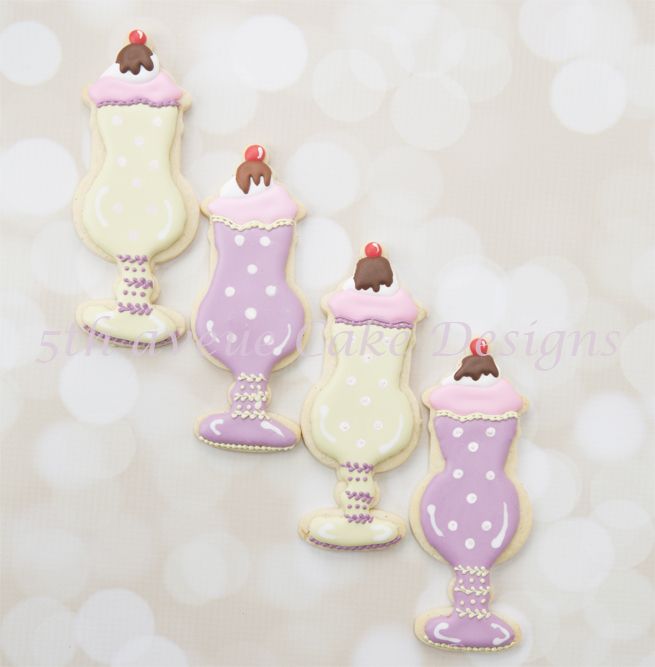 In this video tutorial, I will show you how to pipe the entire cookie using royal icing! 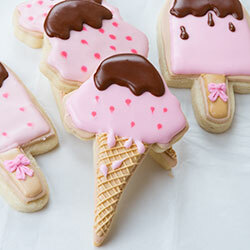 Watch How to Decorate Ice Cream Sundae Cookies to see how I created these old fashion ice cream sundaes cookies! 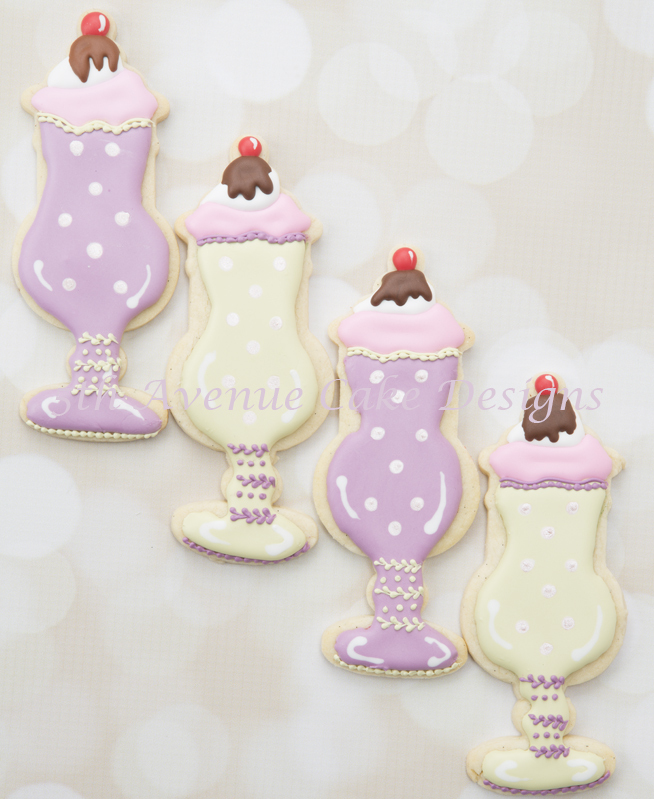 You will need 2 of each piping nozzle to make the two different colour parfait glasses. Also for the delicate decorative piping PME, nozzle #1 is smaller than Wilton or Ateco. Ice cream solves any problem! 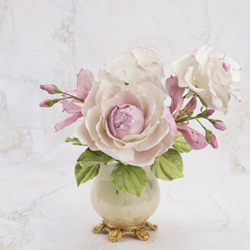 For more cookie and cake decorating designs click on the photos below!